Acland Burghley School provides a rich and stimulating education for boys and girls aged 11 to 19. We believe passionately in the potential of each young person, and work together with families to ensure that every student succeeds. High quality learning is at the heart of our school. We prioritise high academic standards, supporting students of all abilities to excel in English, Maths and Science, and across a broad curriculum. We encourage our learners to be independent thinkers with a broad world view. Our emphasis on creativity is about developing the thinkers and innovators of the future. Our curriculum offers a wide variety of opportunities for students to participate in the arts and sport, and to play a part in community life. We are a member of the highly successful LaSWAP sixth form consortium, together with three other local schools. 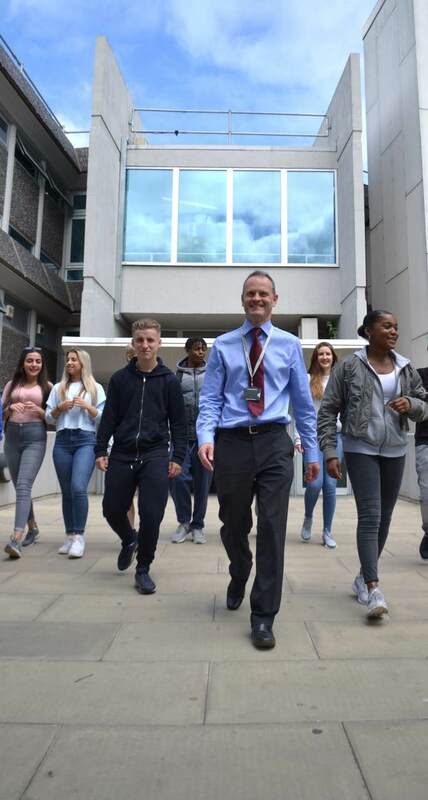 The combined strengths of all four schools offers our sixth form students the widest range of opportunities, expertise and resources. Every student is given information, advice and guidance to find an ambitious and successful pathway to the future. Above all, we are a friendly, happy school. We welcome applications to join us from families wishing to work in strong partnership with us. We look forward to meeting you soon.